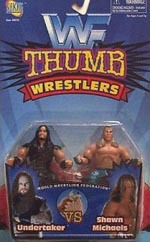 Jakks released 4 2-packs of thumb wrestlers back in 1997. 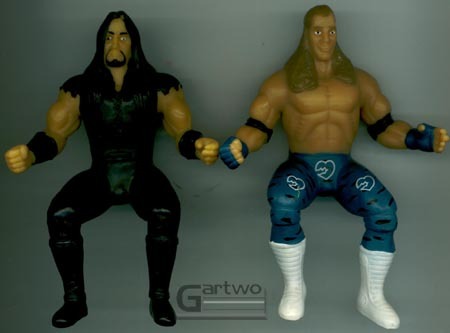 There was a whole new wave of figures planned to come out, but the idea was scrapped, possibly due to poor sales of the first series? I know they stayed on the shelves quite a while in my area. Click below to see what might have been. Pictures coming whenever I get 'em!